One of the key elements of the GRH program is giving purpose to our training. No where is this demonstrated more than in one of our cow working clinics. 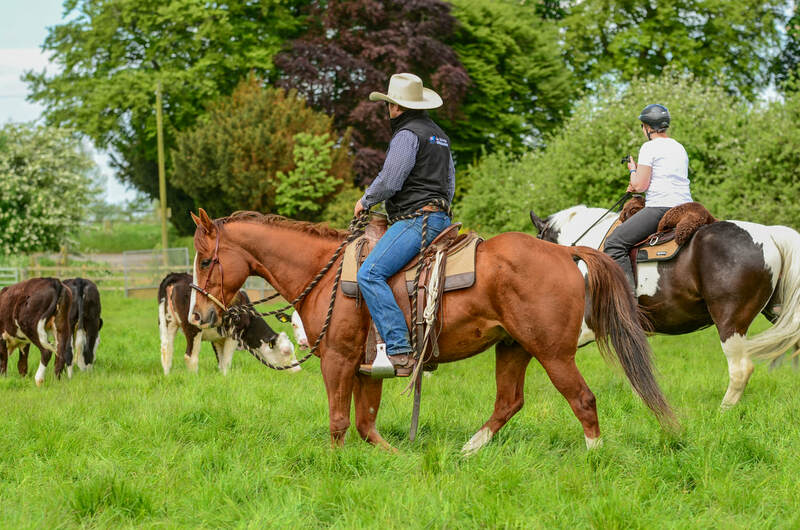 It doesn’t matter if you ride English or western or whether you like warm bloods or quarter horses this clinic is a great way of building your horses confidence and developing your partnership with them. This clinic focuses on building your horses confidence around cattle and introducing them to cutting, sorting, penning and performing basic tasks. 10.15 – 12.30 – Body control exercises, working the mechanical flag, introduction to cattle.